Want to Make More $ Billing Aging Life-Geriatric Care Management Hours? Do you want you and your staff to bill more hours doing care management or aging life? Billing is not just getting more clients. You need to understand what stops you and your staff from billing 85% of their time. Join me at my free webinar. Aging Life Care Managers can lose money and time by going out to do an inquiry before getting a signed contact and deposit with a potential client. Learn how to do the inquiry with a complementary consultation over the phone and get the deposit and contract signed before you see a client who will declines your services after to drive to their home. 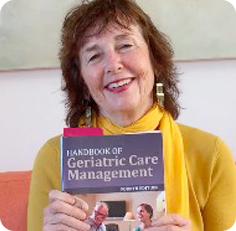 Do You Fail, When A Geriatric Care Management Inquiry Calls? Do you make this mistake with a care management inquiry for services? When you get a request for information, over the phone, do you drive to the client’s home to do the intake – without a deposit and contract? This is what can happen when you do this. Aging Life care manager Sally Sunshine received and inquiry call and drove an hour to see the client. After spending two hours explaining her services, doing a geriatric assessment then asking for a deposit and signed contract the older gentleman said he could not afford her services and would not sign the contract at that time. The Aging Life care manager came up empty handed. You do the inquiry over the phone – with a complementary consultation, and then make the sale and ask for the contract and the deposit. You do not drive to the client’s home without getting a signed contract deposit – first.